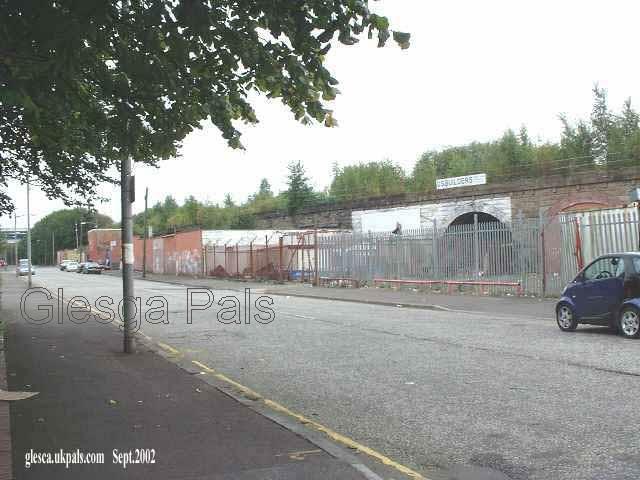 Mordaunt Street taken from junction of Dalmarnock Road looking north-east. 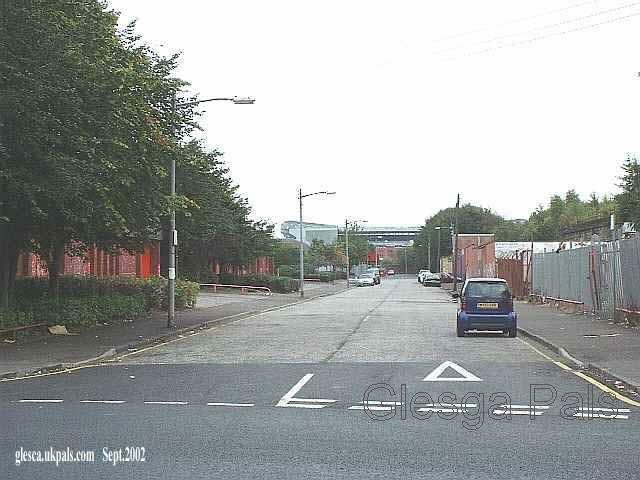 The left side of this street was 3-storey tenements, the right side had an Orange Hall, a scrapyard, various other industrial units all backing on to the railway line and a tenement with a 'high back' at this Dalmarnock Rd corner. The left side had tenements, but all of the right side was a railway embankment with small industrial units under the actual tracks. They all had entrances in the form of an arch. During the war I spent many nights in them as they were used as air raid shelters. 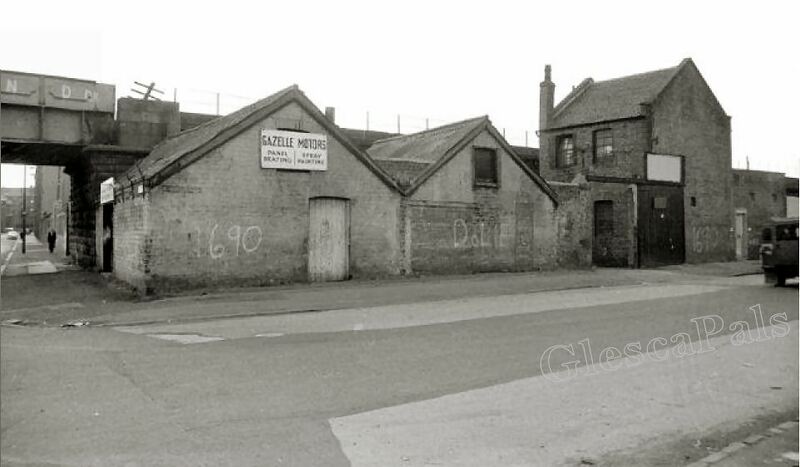 There might have been one tenement building at the corner of Dalmarnock Rd. but that would be all. 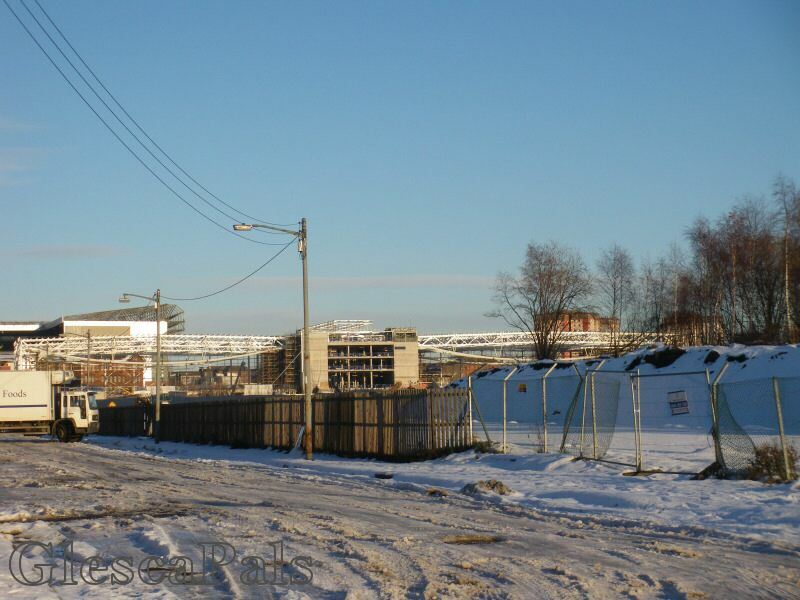 This was the same track that went up Kinnear Rd.and behind Celtic Park. "..I was looking through the memory lane and wondered if anyone remembers the PENNY GANDY? The guy used to come round the streets with his horse and buggy and for a penny you could go round the block. My trip was down Mordaunt Street to Baltic Street, up Nuneaton Street then back to where you started. All of five minutes for a penny, was this magic or what......"
"..I have just found this site and it has brought a lot of memories back.......when a boy I was a member of the 215th BB which met at the Blackfriars Hall in Mordaunt St.......a great site with great pictures!" My name is Brad Robertson. My father was born in Glasgow in 1917, his birth certificate shows his birth address as 47 Mordaunt Street, Glasgow. I live in Brisbane (Queensland), Australia. Dad immigrated to Australia with his family when he was 9 years old and passed away in1992 (in Brisbane). My wife and I will be in Britain on holidays and we will be on a bus tour in May this year which has a 1 night stop over in Glasgow. I would dearly love to see my fathers birthplace if at all possible. From looking up your website I see that Mordaunt Street still holds it’s name today and I’ve had a look at the photos (2) of the street on the website. Would you know, or is it possible to find, out if No.47 is still there and is it likely to be the original building (house ?) from the late 1800’s / early 1900’s ? We will have a limited time to look for at the address as we will be arriving PM and leaving the next morning. I would appreciate any details or contacts you can provide about this address. Congratulations on your fabulous website, it has helped me get this far with information about Dads birth address. I look forward to any information you can provide.